Spanning the years of the first great settlement of the West, The Removes tells the intertwining stories of fifteen-year-old Anne Cummins, frontierswoman Libbie Custer, and Libbie’s husband, the Civil War hero George Armstrong Custer. When Anne survives a surprise attack on her family’s homestead, she is thrust into a difficult life she never anticipated—living among the Cheyenne as both a captive and, eventually, a member of the tribe. Libbie, too, is thrown into a brutal, unexpected life when she marries Custer. They move to the territories with the U.S. Army, where Libbie is challenged daily and her worldview expanded: the pampered daughter of a small-town judge, she transforms into a daring camp follower. But when what Anne and Libbie have come to know—self-reliance, freedom, danger—is suddenly altered through tragedy and loss, they realize how indelibly shaped they are by life on the treacherous, extraordinary American plains. With taut, suspenseful writing, Tatjana Soli tells the exhilarating stories of Libbie and Anne, who have grown like weeds into women unwilling to be restrained by the strictures governing nineteenth-century society. 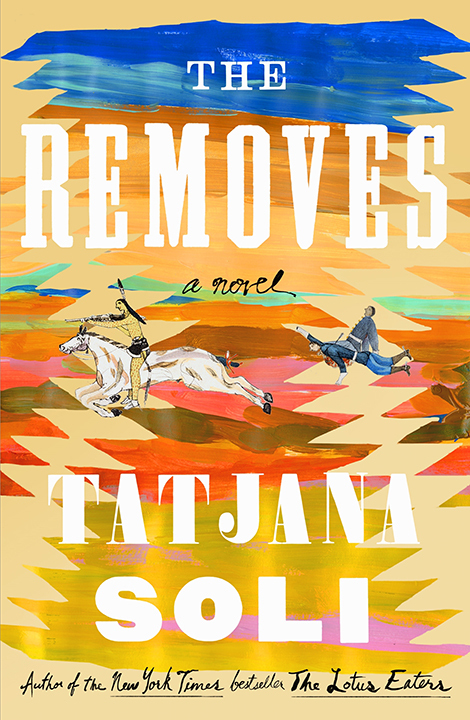 The Removes is a powerful, transporting novel about the addictive intensity and freedom of the American frontier. 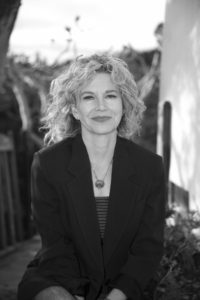 Tatjana Soli is the bestselling author of The Lotus Eaters, The Forgetting Tree, and The Last Good Paradise. Her work has been awarded the UK’s James Tait Black Prize and has been a finalist for the Los Angeles Times Book Award. Her books have also been twice listed as a New York Times Notable Book of the Year. She lives on the Monterey Peninsula of California. 1. The book begins with an epigraph by Crazy Horse that says, “A very great vision is needed and the man who has it must follow it . . .” Does anyone in the novel show great vision? How does this quote set the tone for the story to come? 2. The narration moves back and forth between three characters—Anne, Libbie, and Custer. How does this affect your experience of the story? How does this affect your knowledge of that time in history? 3. Whose story do you empathize with the most? Which character do you like the most? Which one surprised you the most? 4. Libbie makes a bold decision for a young woman of her time and station, marrying a military man. Do you think it was foolish? Did she come to regret it? What were the benefits of the unusual life she ended up living? 5. George Armstrong Custer was one of the youngest Civil War heroes in the nation. Do you sympathize with his difficulty adjusting to an obscure military life postwar? What do you think of his reinvention of himself as an Indian fighter? 6. Libbie is shocked by the inhumanity she glimpses during the Civil War. The Indian tribe that Anne lives with suffers inhumanity at the hands of the U.S. military. What are the parallels between the two? What are the differences? 7. Golden Buffalo tries to help his tribe by learning the ways of the white culture that is overtaking his people’s world. On page 141, he has the following realization: “He saw his people’s futility in fighting such numbers, such rapaciousness. It was as useless as killing off coyotes. More would always come.” Do you think he was wise to try to learn the ways of his enemies? Foolish? Is there any way he could have done better to help his people? 8. When Golden Buffalo’s chief asks him what kind of a man Custer is, he answers, “He is a warrior. He has the heart of an Indian.” Were you surprised by the Indians’ respect for Custer as a warrior? Did this change your perception of him? 9. On the surface, Anne’s and Libbie’s stories are totally different. How are their experiences of the frontier similar? 10. Chief Black Kettle was attacked at the Sand Creek Massacre, but he remained on the path of peace. He was attacked again and killed at the Washita Massacre by Custer. What were his choices? After the Washita Massacre, were you surprised that public opinion began to criticize the army’s actions? 11. On the train trip to Dakota, Custer defends his black cook’s right to eat at the same table as him and his soldiers, although it is clear he does this more for expediency than conviction. What do you think of his character? 12. On page 253, during the Dakota blizzard, Libbie thinks that she “had entered the most terrible kind of dream, the kind that was real and was your life and you could not awake from.” In what ways is this true for all three main characters? Libbie overcomes her panic and takes charge, saving both soldiers’ lives and a horse’s life. Do you admire her actions? What would you do under such extreme conditions? 13. In what ways, large and small, does Neha affect Anne’s experience of captivity? How does their relationship change after being rescued? 14. Anne tells her aunt Lydia that she misses her children. Were you surprised by Lydia’s reaction and her advice? 15. At the time of the Battle of Little Bighorn, the death of Custer and his men was considered a national tragedy. Compare attitudes about Custer then and today. In what ways was Custer complicit with our government’s treatment of American Indians? In what ways was he a product of his time? 16. The Removes is filled with examples of human nature at its best and worst. How does the theme of good and evil play out in each character? In the story as a whole? In American history during the frontier period? The thunder of the rifle inside the house so blasted Anne’s ears that she forgot for a moment the reason for her father’s firing it, so caught up was she in the physical pain of the noise. She cupped her palms over her ears to shelter them but too late. When she took her hands away, her hearing had fled, vanished so that events unfolded before her in eerie silence. From her mother’s pious beliefs, she wondered briefly if this was a gift of God, this shielding deafness, but decided against such interpretation because if God had willingly allowed the sights before her eyes it would be blasphemy to his goodness. The silence proved both blessing and curse. Not the war cries of the Indians, nor the screams of her relatives in their death throes as they departed from this earth, had the power to frighten her, but the lack of sound endowed her sight with a magnified strength. The acts committed before her turned into visions burned on her mind’s eye that she would revisit, voluntarily or not, for the rest of her days. In the morning the men had left to work the fields, leaving the small group of homesteads unguarded except for old men, the blacksmith, and some stragglers, including her beau, Michael, who loitered in the communal barn with the hope of a stolen meeting with her. A party of Cheyenne rode in, one warrior in the lead, waving a dirty white piece of cloth on a stick. Immediately her mother’s face went slack with fear. The tribes had become habituated to handouts, and they demanded charity whether given freely or not. She hissed to Anne’s six-year-old brother, Nevin, to run out the back. Anne’s grandfather went out to offer the band provision and delay any possible aggression till the men were returned to defend the homestead. Anne watched from the window as he walked up to the leader and within seconds was surrounded by mounted warriors. Only the back of his graying head was visible above the ponies. It would be the last moment the world would appear safe to her. As quickly as she drew her next breath, an Indian behind him raised a hatchet even as he parleyed with the leader in front. Anne screamed as the blow came down, a bloom of horror. He staggered a moment from the impact, the circle of warriors still and calm, only mildly curious as he crumpled to the ground between their horses’ feet. Her father and some of the neighbors had run in through the back door, loaded down with rifles and bags of ammunition. In the part of Kansas they farmed, it was necessary to work the fields with hoe in one hand and rifle in the other, so the men had been ready to protect their families. The Indians already surrounded the other houses so that the men had no choice but stay and defend Anne’s homestead before reaching their own. With one look outside, her father roughly pulled Anne from the window and directed her mother to gather the children against the back wall, low against the ground to avoid the ricochet of bullets. Her father’s first firing, the one that deafened her, hit the warrior who killed her grandfather, the shot taking off the side of his head, and he slumped over and rolled off his horse. Within moments, as if his blood nourished the earth he fell on, fifty more equally fierce fighters sprang into view. Anne pressed against her mother and sisters, her arms around Nevin to keep him from squirming away to join the men. Having sounded the alarm of the attack, he was filled with fearlessness and childish belief in his own invincibility. Anne closed her eyes. Again she saw the Indian’s concave head, his face fierce as a hawk’s, and then the dip of his body to earth. The darkness under her eyelids combined with the lack of sound to calm her. Did her grandfather share this same darkness with her? She pretended that this was a nightmare from which she could soon wake. Her mother poked her up. Her father, manning the window, motioned for Anne to rise and travel between the shooters along the front of the house, resupplying them with ammunition. The neighbor whose task it had been now lay facedown in the doorway, blood pooling under him, and Anne had no choice but to step over his legs each time she must hand out bullets. She would never be able to explain it, but with the duty to attend her fear went away. Her greatest preoccupation was to lift her skirts clear so that they should not sop the blood. If she accomplished that, it seemed everything else would be okay. She stayed dry-eyed and calm as yet another man slumped over the window frame, and she must pull him back inside and lay up his rifle against the wall. One man who raised dairy cows cried as he shot blindly, and another who tenant-farmed wheat soiled himself, yet Anne glided between them as if serving cakes at one of her mother’s teas. There were five dead inside the house when she finally glanced at the clock and realized two hours had passed. Outside the number of Indians had grown so that they appeared a hive of angry bees. “Take up the rifle!” her father yelled, and realizing his daughter’s impairment he pointed his chin at a gun. It had come down to her father, an elderly neighbor with poor eyesight, and herself as defense for her mother and siblings. Without hesitation she crawled to the window and pointed the weapon’s barrel out. Several homesteads were burning, and the sunny morning had grayed in the thickening smoke. She fired as best she could, the recoil paining her shoulder, but as far as she could tell the bullets did not come close to a single target. As she watched, the blacksmith’s family attempted escape across the fields. First the father was shot and fell down. The mother and children continued running, but they seemed to have lost compass and moved in an arc that they retraced like chickens in the farmyard running from the approach of the axe. Warriors on foot trotted after them, easily nabbing all three. When the mother begged to have her children back and offered money, the warriors knocked her on the head, then proceeded to strip off her clothes and scalp her. Her long reddish gold hair had been the envy of all the women. Anne would not talk of the other things they did to the body. She whispered a prayer, entrusting the woman’s immortal soul to the Lord. After the mutilation was over, Anne turned away and daintily vomited onto the dining room floor. Her head throbbed, a mix of fear, noise, and smoke making her dry-heave the contents of her empty stomach. Dully she wondered where Michael was, and why had he not come to save her? She had allowed him to kiss her and touch underneath her blouse. Had he run away and left her behind? If he was such a coward she would not marry him after all. Her heart quaked at the thought she might not survive long enough to reject a suitor. Now the warriors on horseback turned their attention on Anne’s house, which was the last left standing. They rode full speed circling it, throwing up a cloud of dust that mingled with the heavy burning smoke from the other buildings and the crop fields farther on that had been set aflame. She could not hear the terrifying shrill of their cries, nor the beating of the horses’ hooves, although she imagined she felt their percussion through the floor, the rumble and awful pound of danger, unless it was simply the thud of her own despairing heart. Anne fired in a haphazard way, slowed down both by fatigue and inaccuracy. She had only practiced still targets while shooting with her father, never at anything moving, definitely never anything threatening to shoot back at her. Even that limited practice had been grudged by her father, who thought it unbecoming for a fifteen-year-old girl to learn such. Strange that now she was the one tasked with defending them. Two young men, friends of her Michael, fearful of Indians surrounding their barn in the northwest corner of the settlement, tried to flee along the south field and were shot down as easily as quail. So taken up was she by the plight of their neighbors, Anne at first did not notice Indians had climbed on her own roof. Soon flames could be seen licking the corner of the ceiling, smoke thickening the air so that her father had to set down his gun and beat out the nascent fire with a blanket. It was at that moment that a bullet fired through the doorway caught him in the throat. Surprised, angered, he could offer her no last words, but she read in his eyes how sorry he was to leave them in such danger. A moment later, he was no more. His old carbine was unwieldy in her hands, too heavy to hold, but she carried it over to her mother and siblings and crowded over them. The weapon’s metal was warm. She imagined it still held the life from her father’s hands. She was determined she would blast the first Indian who made it through the door, even if she could do nothing about the second, third, and fourth. What happened instead was the entire roof caught ablaze at once and formed a fiery crown above them. With no one to extinguish it the heat grew unbearable inside the room, like sitting in the oven where the bread baked. Hot ash fell like snowflakes and ate small burning holes in their clothing. As soon as the beams were softened enough, the entire structure would collapse and incinerate the family whole. The unbidden thought came into Anne’s head that perhaps this was her father’s parting protection as he waited in heaven above for them to join him. “We must leave, Mama,” Anne yelled, but her mother shook her head, already entered on the path of her Christian martyr’s death. It was a commonplace that any death was preferable to the fate to be found through the door, leaving oneself at the mercy of the Indians. Anne sat, the heavy, oily smoke scratching her lungs, tearing her eyes. An active girl, she preferred movement, wanted to bolt out the door for a last gulp of sweet air and risk being shot rather than sit and roast to death. Already her skin prickled red and tender. “We should run to the river,” she said aloud to no one. Her mother had gone blank with fear. Blind and helpless and ultimately doomed as the kittens her father regularly gunnysacked and dropped into the river. She would be of no help. Her baby sister, Dottie, and her middle sister, Emma, were already weak from coughing. After witnessing his father die, Nevin had reverted to his usual timidity and was now crying at full volume. He had wet his pants. They all felt a shifting of the house as if it were seeking a more comfortable seating, and as the roof crashed down inside the room, Anne in one motion grabbed Nevin and ran out the door. Why him? Nevin because he was the youngest and the only boy in the family? Outside was unutterable relief. She gulped the cool air and held her brother closer as she ran along the front of the house, a hail of bullets so strong the wall looked as if it were being chewed apart. She would not think about the arrows also raining, would instead pretend she was making her way through a storm, but then Nevin spasmed in her arms, forcing her to stop. A bullet had shattered his leg; it dangled down bloody and useless at her hip. He howled so loudly that even she could hear the small, astonished roar. A warrior took advantage of her distraction to grab her from behind while another tore Nevin from her arms. She fought with all her remaining strength, regretting, too late, that she had not remained by her mother’s side. She lunged for her brother and was butted in the stomach with a rifle stock. The wind sucked out of her, pain made her forget where she was while in its grip. After a moment, despite the jab of something sharp at her back, she crawled on hands and knees to Nevin’s crumpled form, wanting to cover him and go back inside. She ignored the feet at each side of her, too frightened to look up. A warrior lifted Nevin above her and stood blocking her path. When he set the boy down on the ground like a toy, holding each arm for balance, her brother was queerly calm as he stepped down on the shattered leg. It buckled unnaturally under him, the white of thin bone protruding through skin while he screamed himself to delirium. The warrior chuckled as the child fell to earth, and then clucked his tongue, grabbed the boy by the feet like a rabbit, and dashed him against the building. Anne prayed for the Lord to claim her. She was guilty of having taken the boy from their mother and then failing him. His last moments on earth filled with cruelty and terror, and it was her fault. Stupid, stupid girl, she deserved whatever now happened. When the warrior came at her and preemptively grabbed her hair, he found all resistance gone. Frontier children were always taunting one another in games with scalping, and she had the idle thought that now she would know what it was like. She endured his punches and kicks as penance, sure they were only preliminary to her being killed. Her only prayer was that she would die with her honor left intact to please God and her mother. It surprised her when instead she was led to a small, bedraggled group of neighbor women gathered in a field. A group of ten children, including Emma, was corralled under a tree. How had she gotten out? What had become of Dottie and Mama? None of the rest of her family had come out of the burning house. This indeed was not a nightmare—reality was far worse than anything imagination could conjure. The Indians motioned for the women to start walking, and one of them, a young mother whose babe was nowhere in sight, began crying aloud that they would be killed. “If they so wanted, we would no longer be breathing,” Anne said. Unhearing, the woman collapsed on the ground and commenced a primitive baying. One of the warriors came and prodded her, conveying by sign language that the captives would soon be fed, but she was beyond caring of their intentions. Years younger than her, nevertheless Anne was impatient with the woman’s obtuseness. “We live only at their mercy, which you now test. Come, please. Get up now,” Anne urged, but there was no help for her. The woman was lost inside her own horror as surely as if it were yet another conflagration. The warrior in charge of them looked in exasperation at Anne as if the two of them had somehow become conspirators, then quickly brought out a knife and in a single motion slit the woman’s throat. Anne turned away and began walking. She did not blame the woman for her weakness. She herself had promised that she would rather die than suffer capture, but when the moment came she found an unwillingness to give up her life so easily, despite the immediate dangers and afflictions. She prayed for rescue.